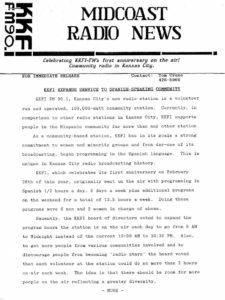 January news release showing KKFI’s expanded service the the Latino Community. 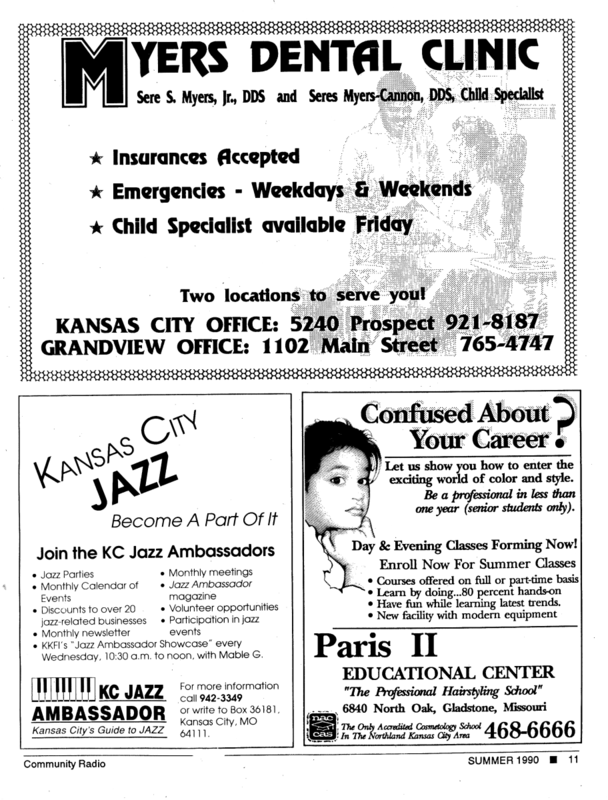 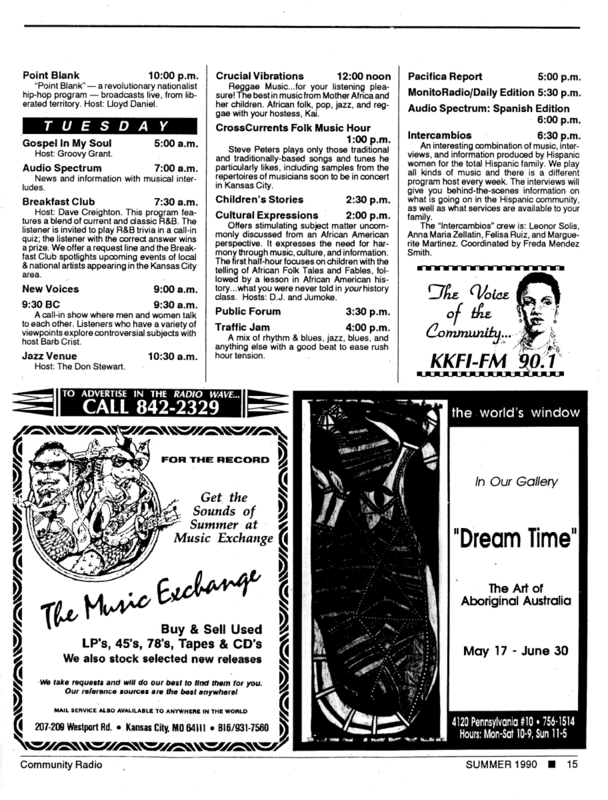 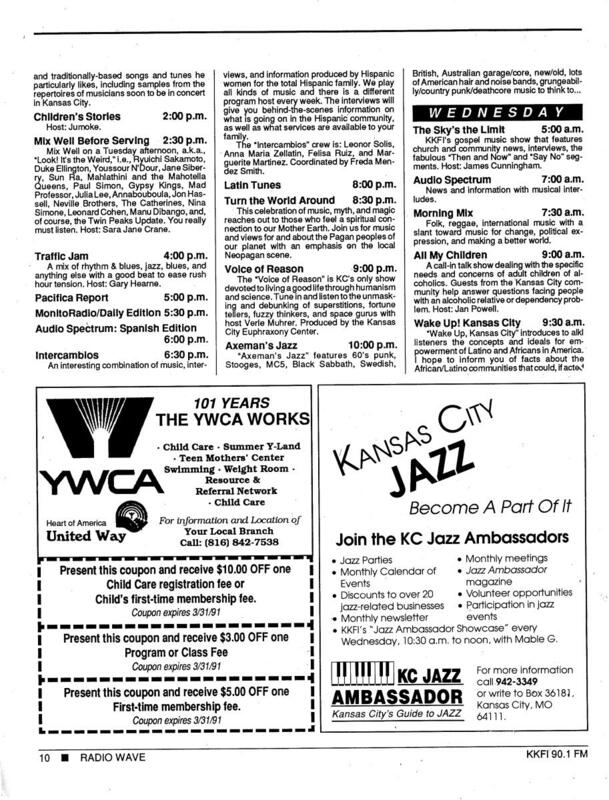 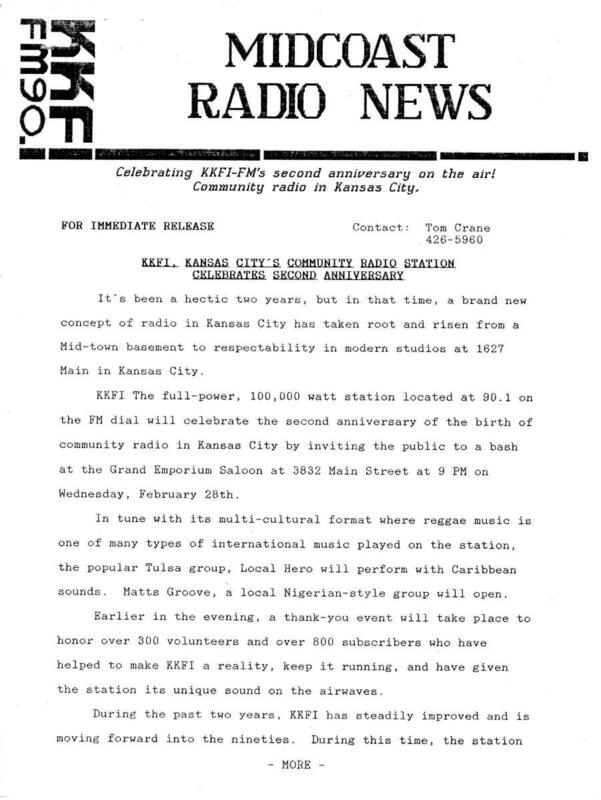 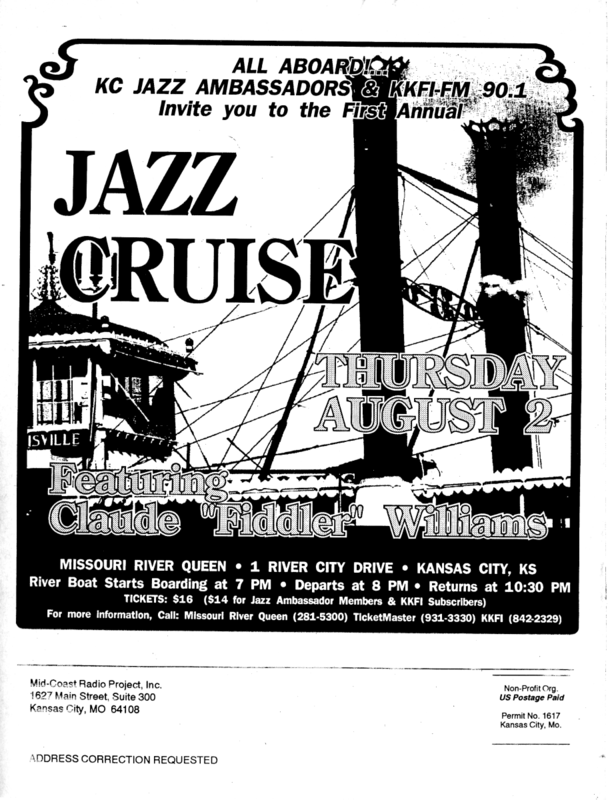 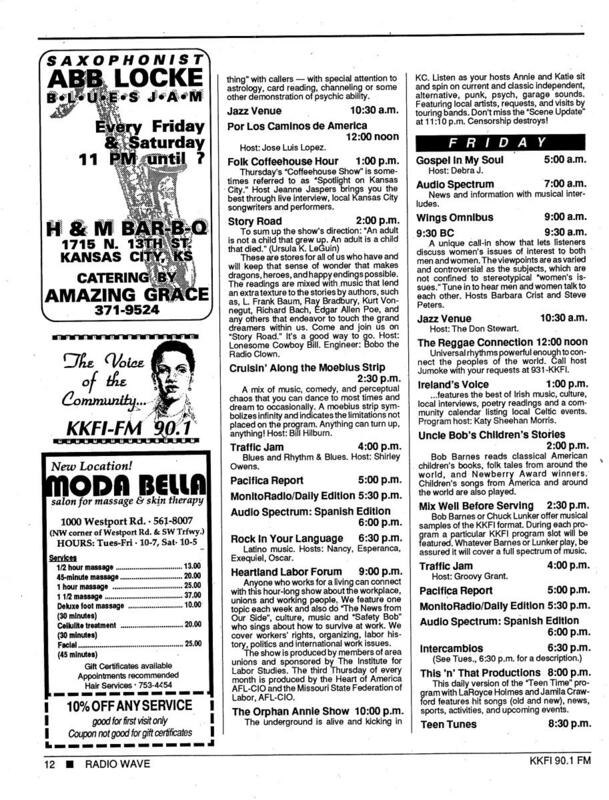 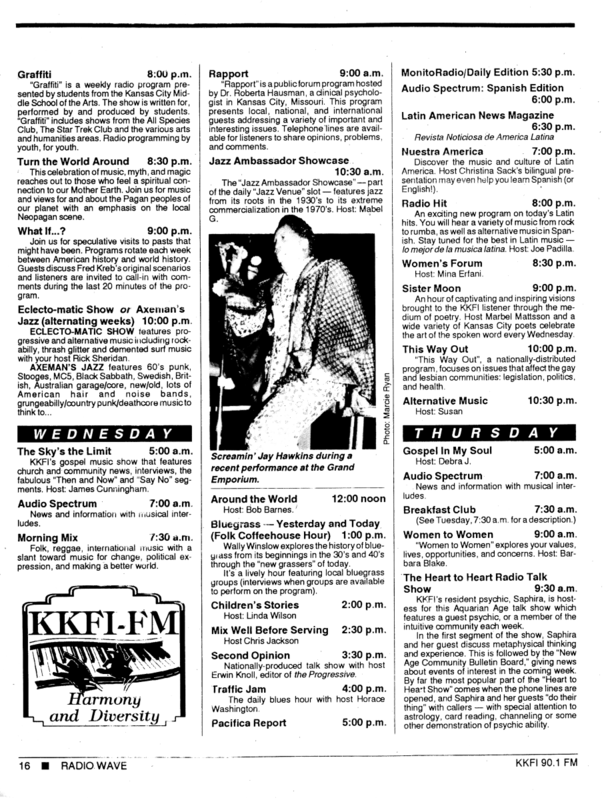 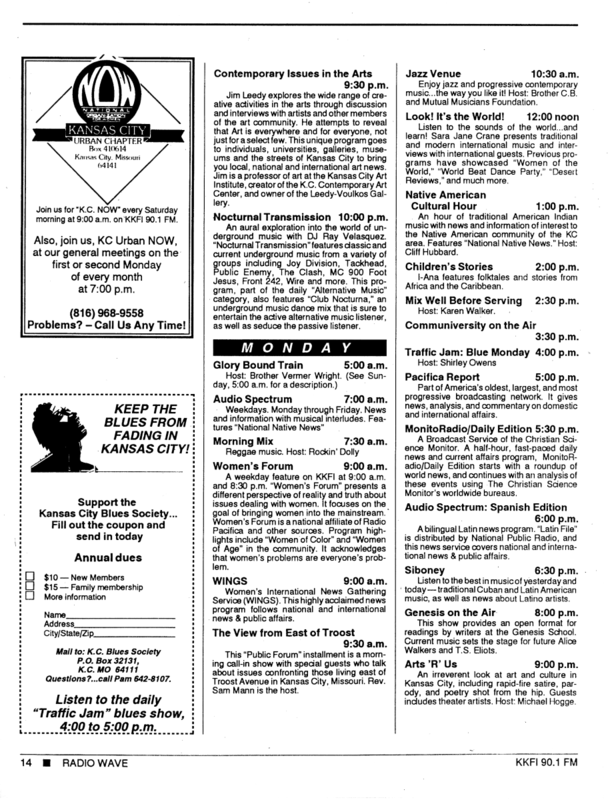 In 1990, KKFI was the first and only radio station in Kansas City broadcasting part of its day in Spanish. 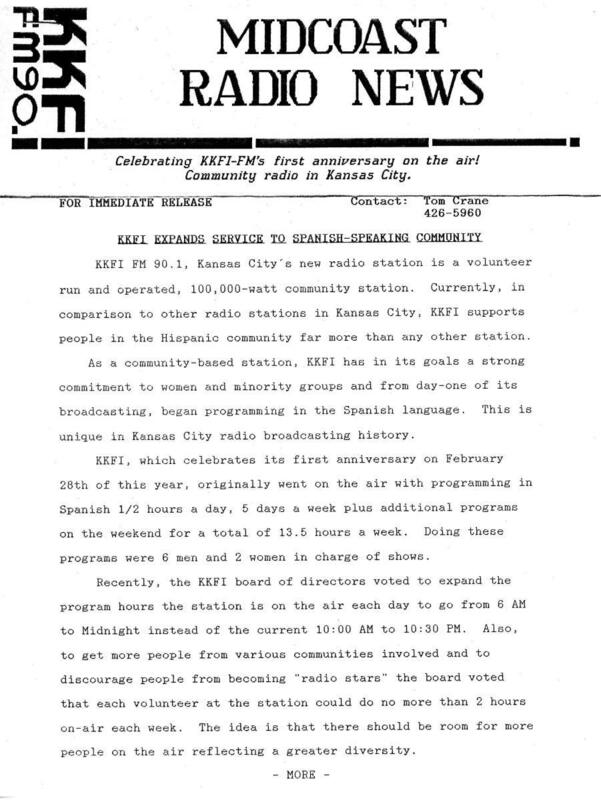 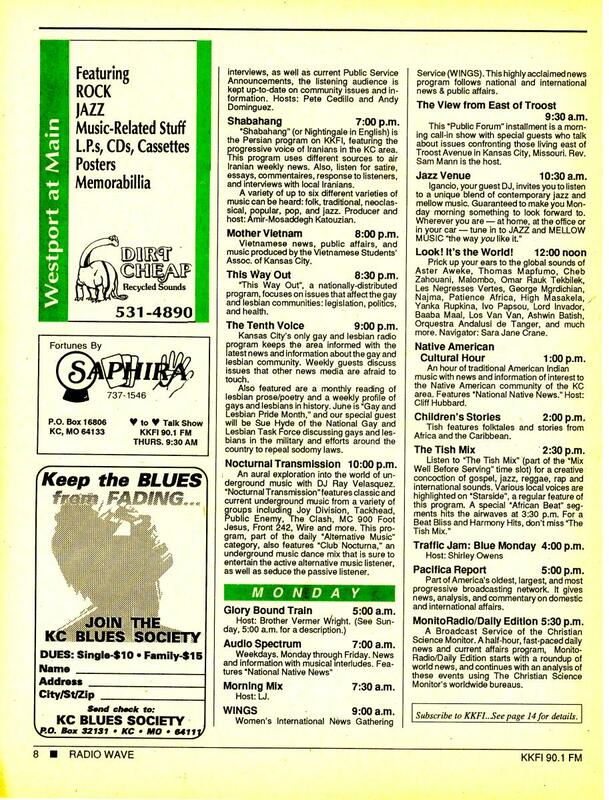 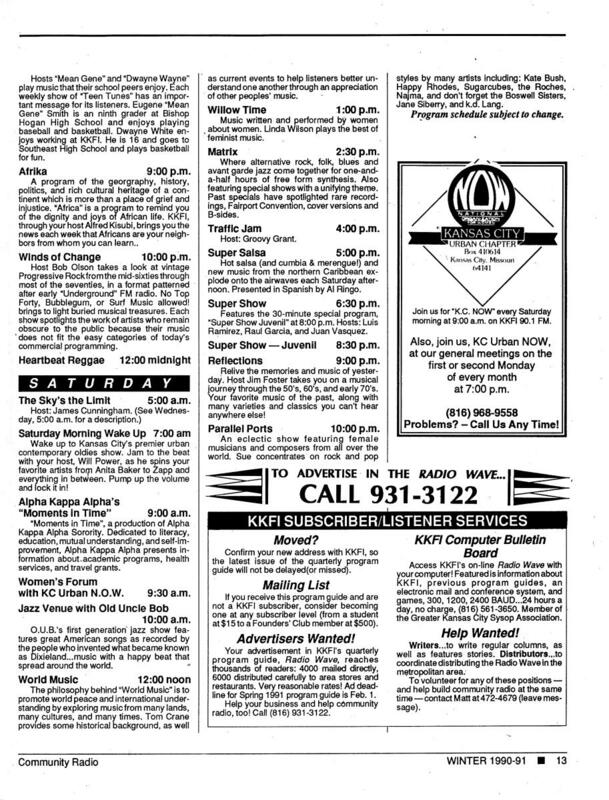 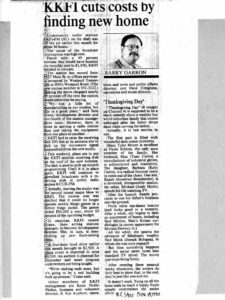 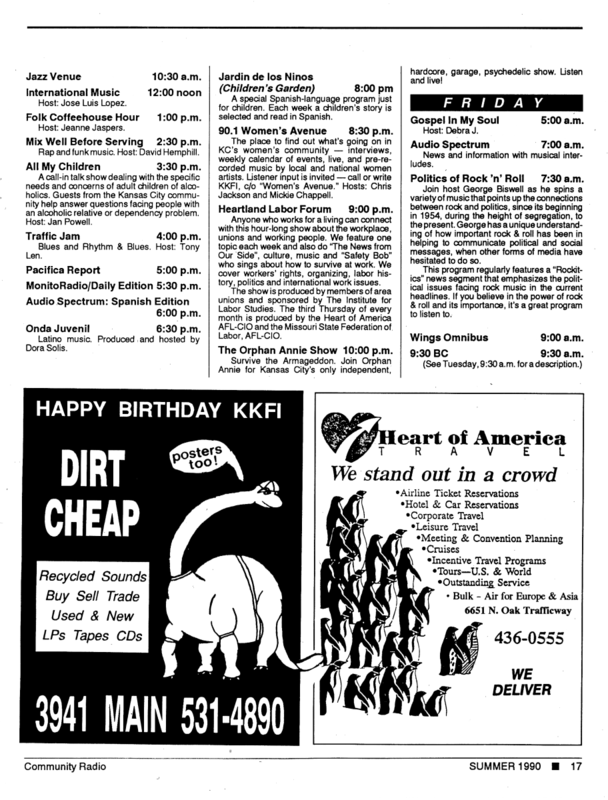 When KKFI first went on the air, it was not for a full 24 hours. 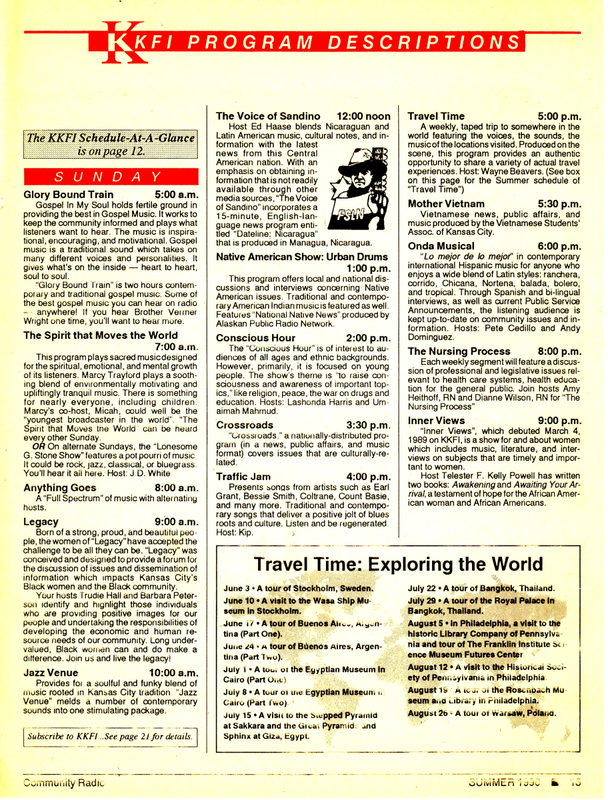 This news release shows how the program schedule now would be expanded to a full day and night. 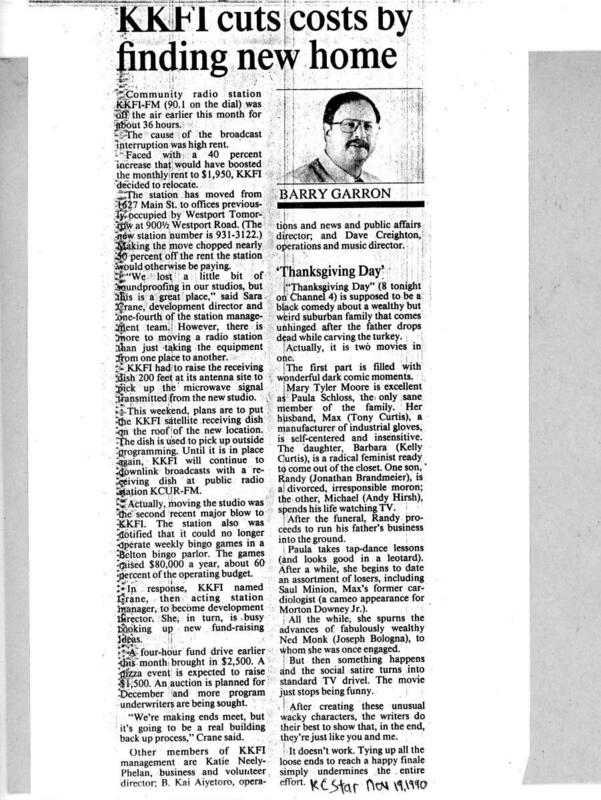 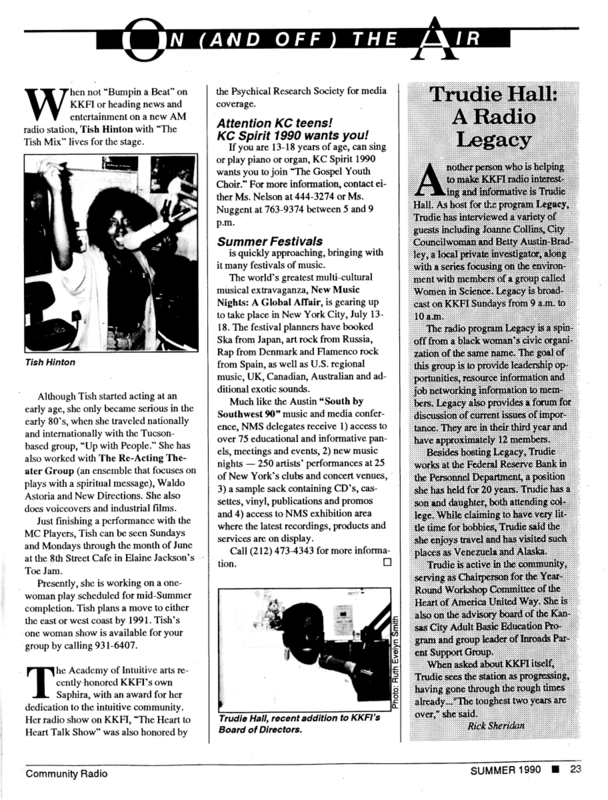 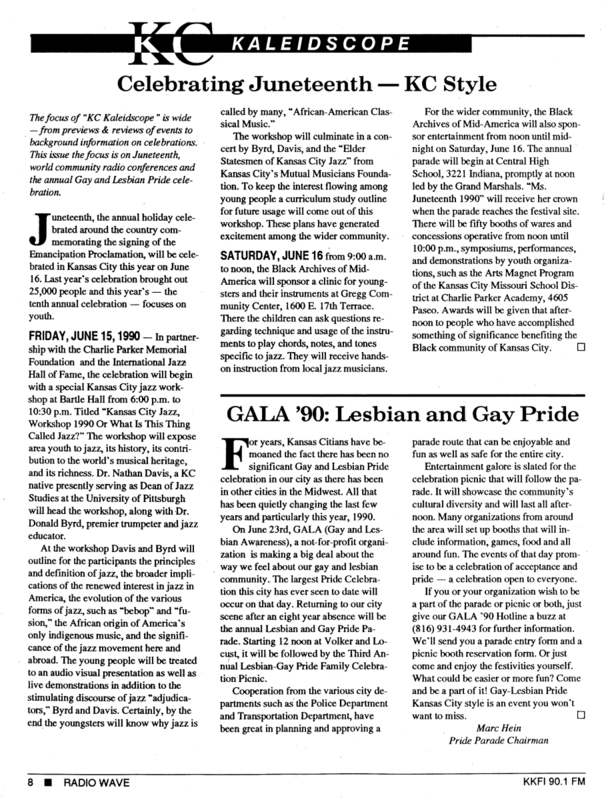 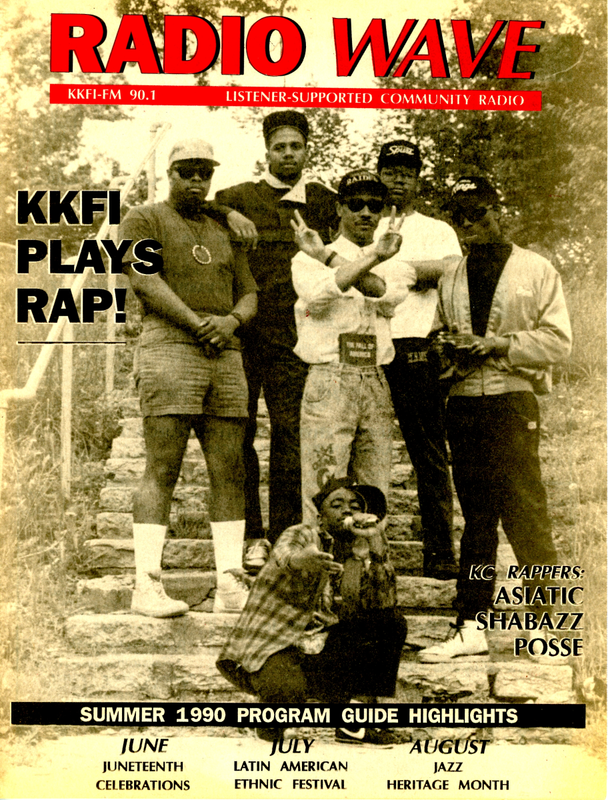 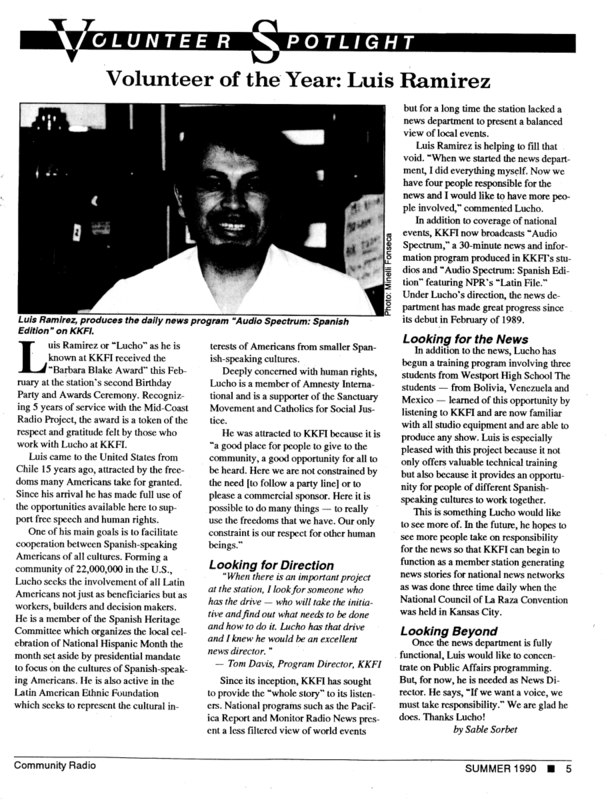 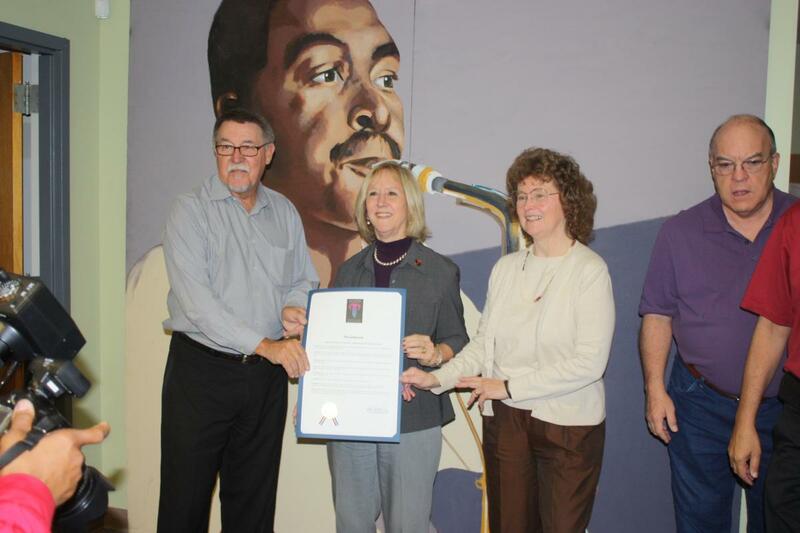 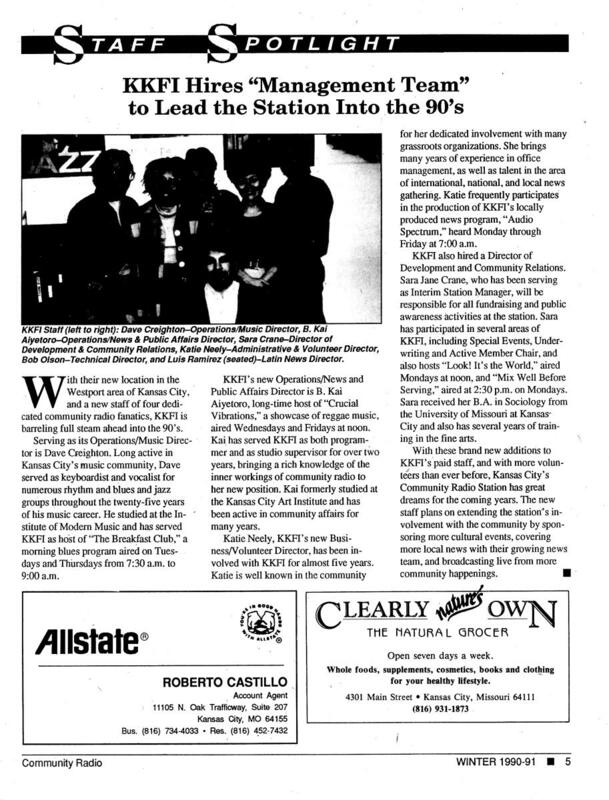 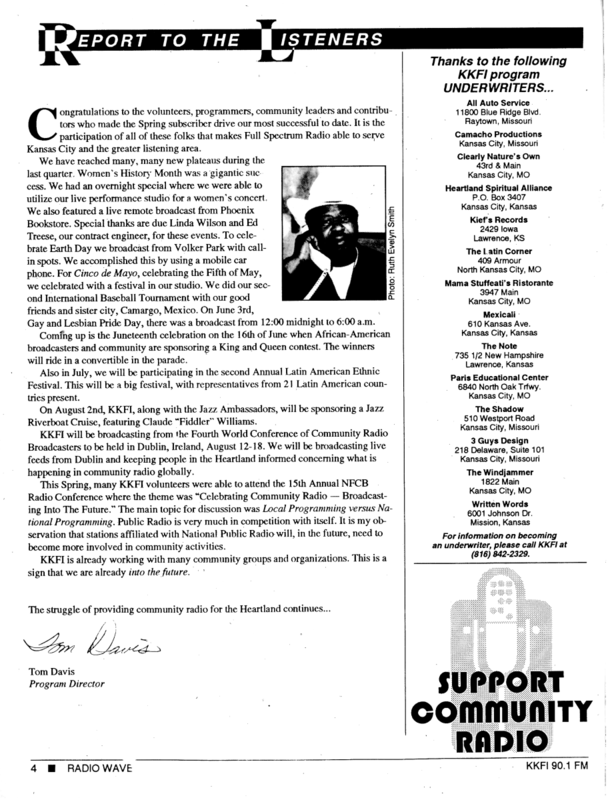 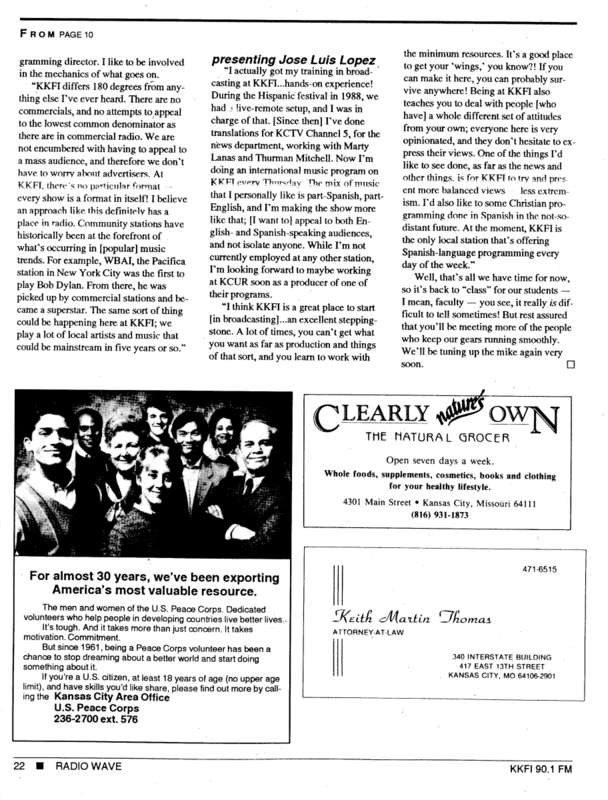 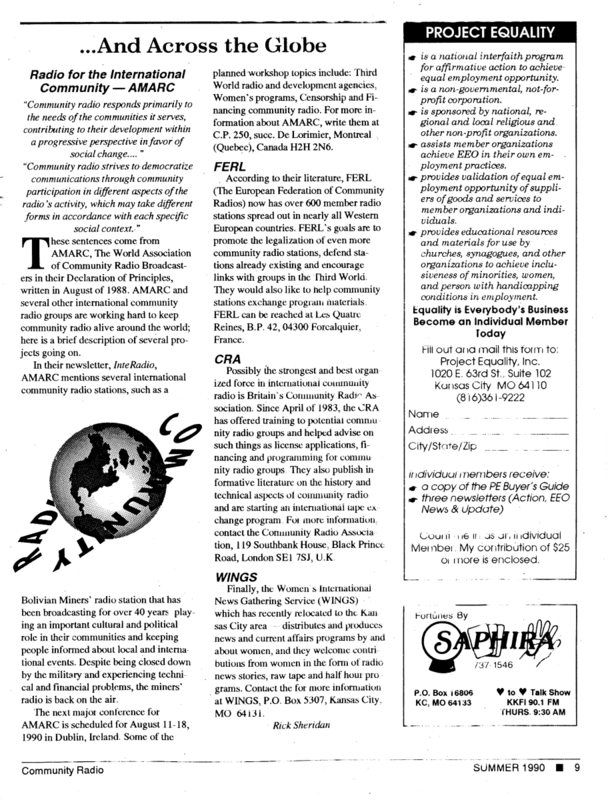 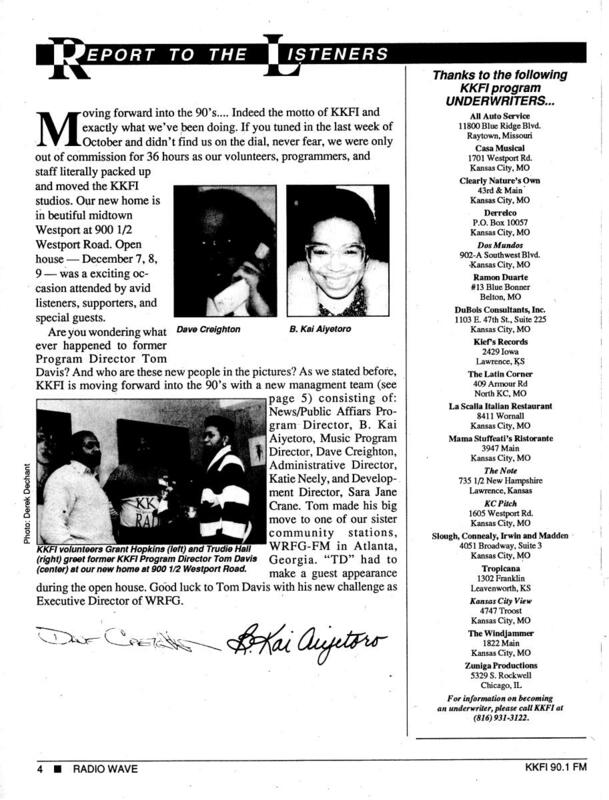 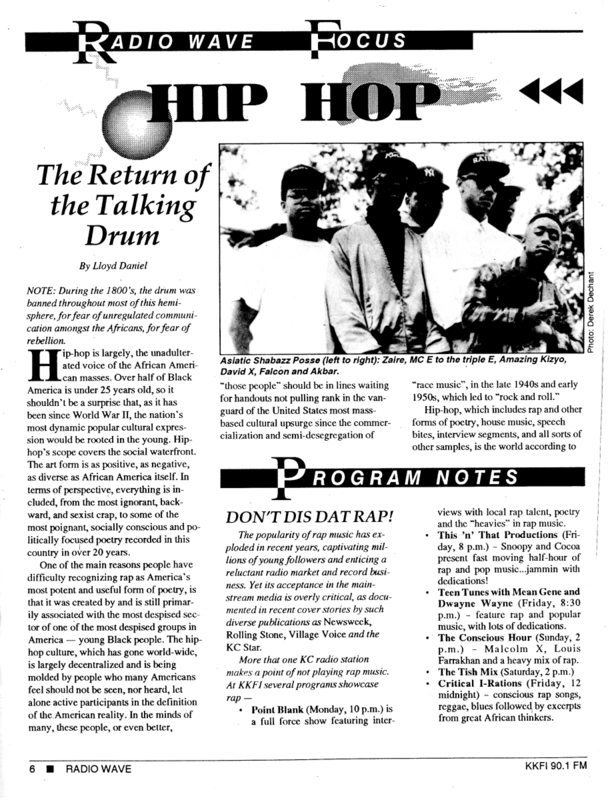 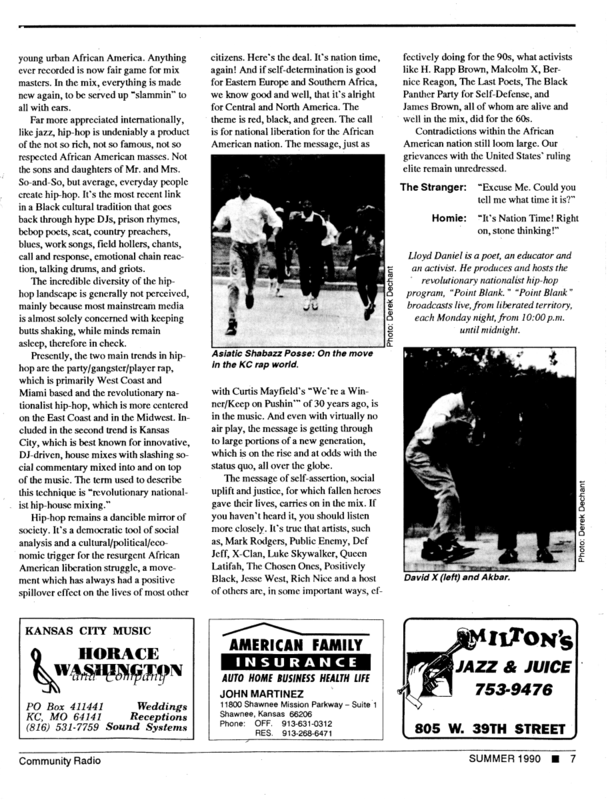 This KKFI article appeared in the 20th Anniversary winter Communiversity Catalog. 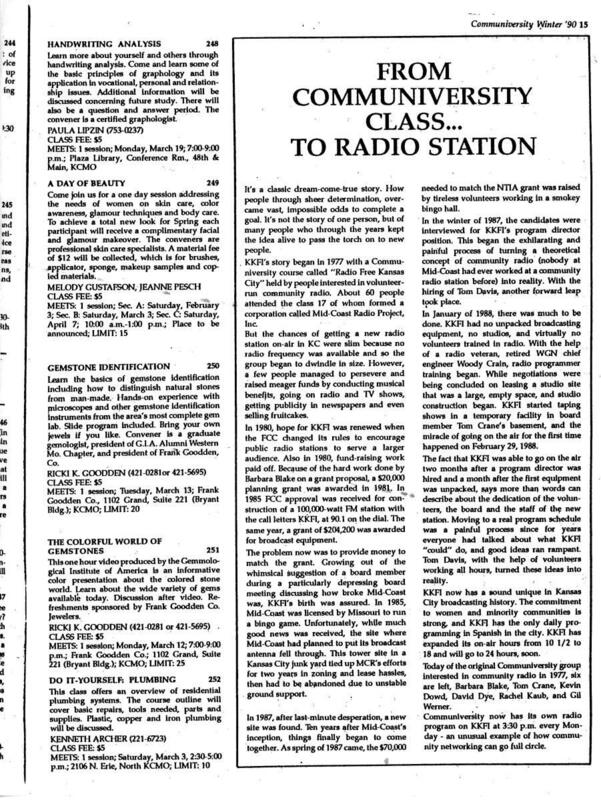 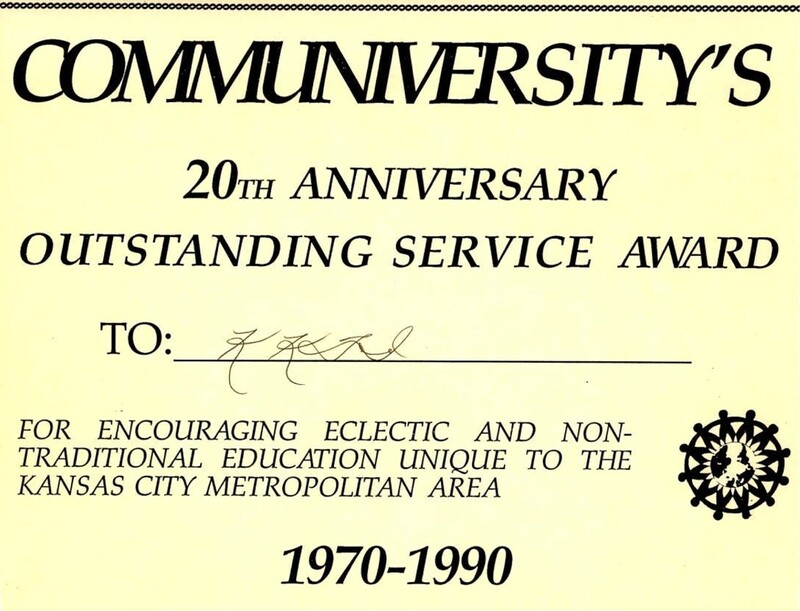 KKFI was given an award because the station began in a communiversity course in 1977. 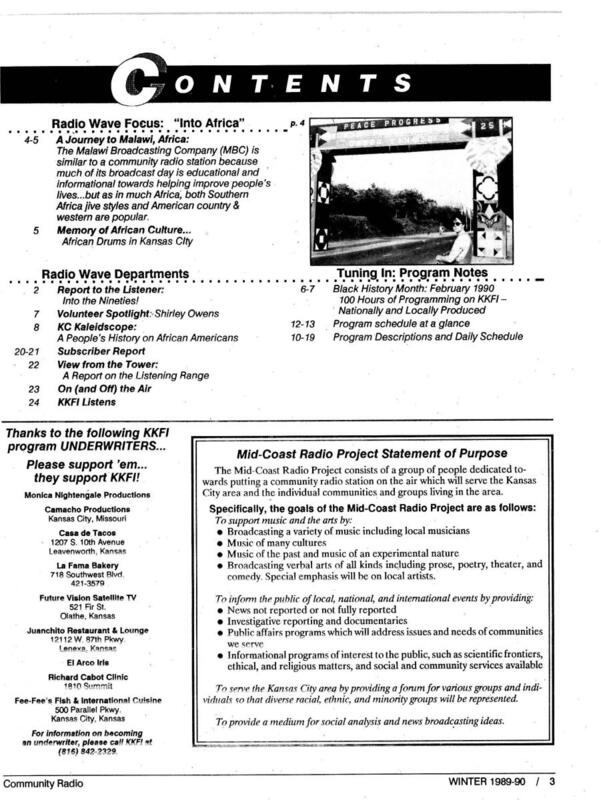 The Radio Wave Program Guide had 24 pages for the summer edition. 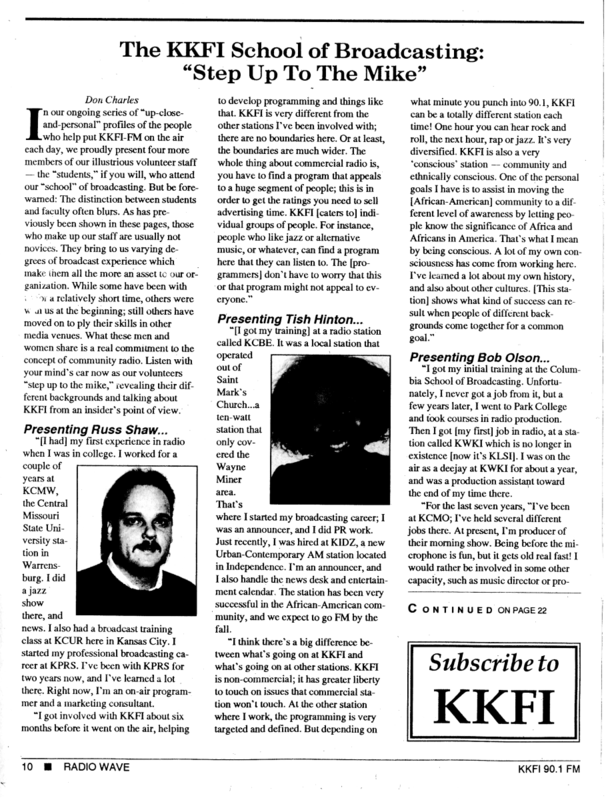 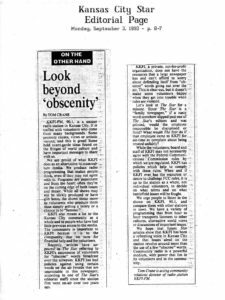 An editorial published in September in the Kansas City Star. 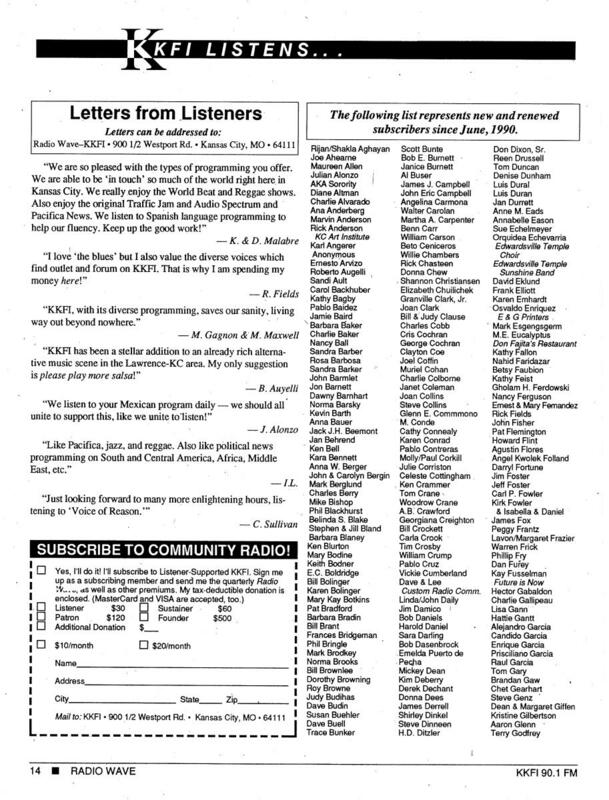 Several volunteers had been suspended for allegedly allowing indecent words to be broadcast over the airwaves. 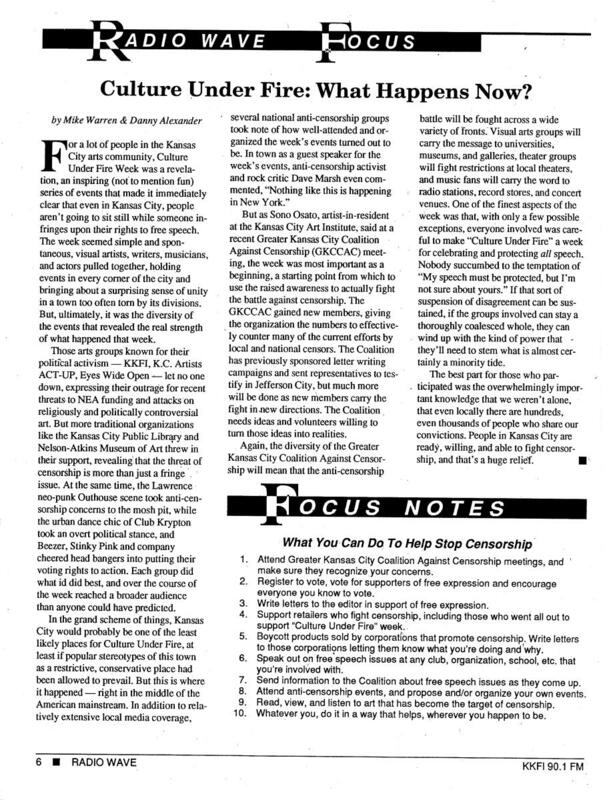 After an article in the Star appeared complaining about the suspension of one person, the Star allowed a rebuttal to be published. 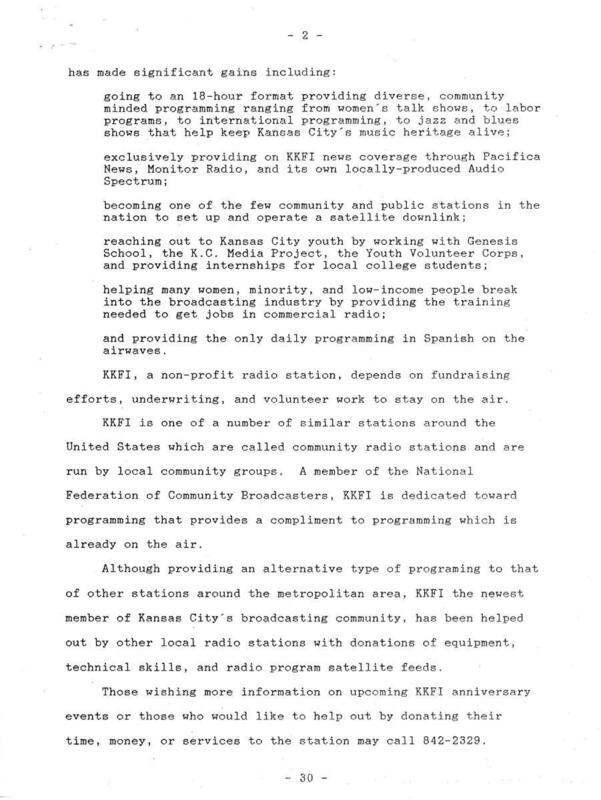 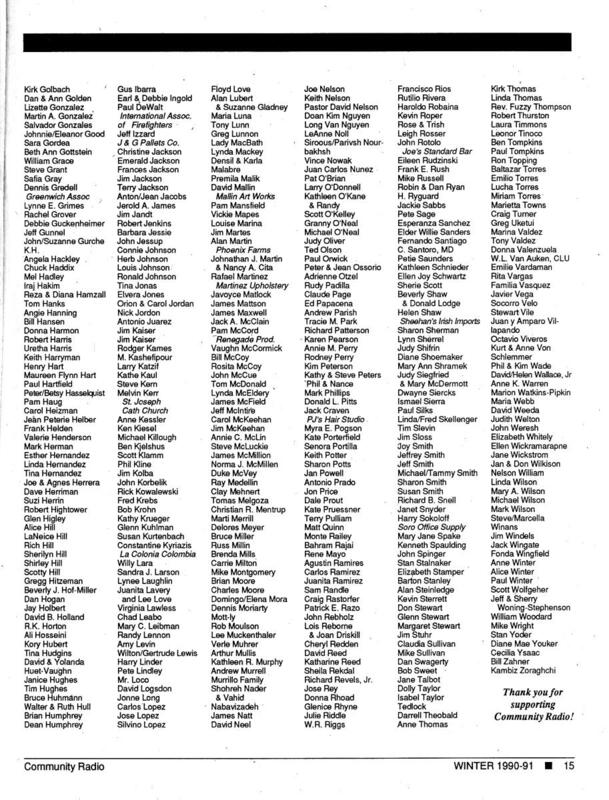 The editorial points out that the Star refused to print the words in question because it was a “family” newspaper – while KKFI is not allowed to air these words because of FCC rules. 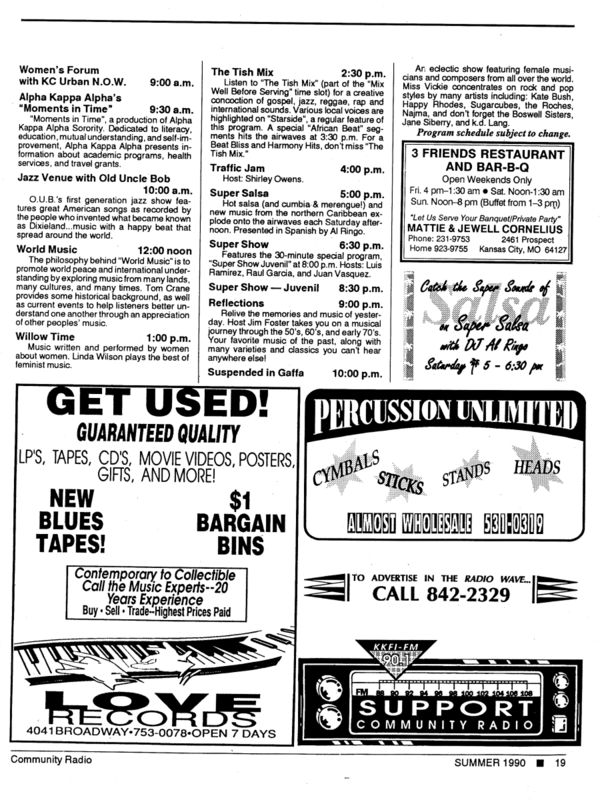 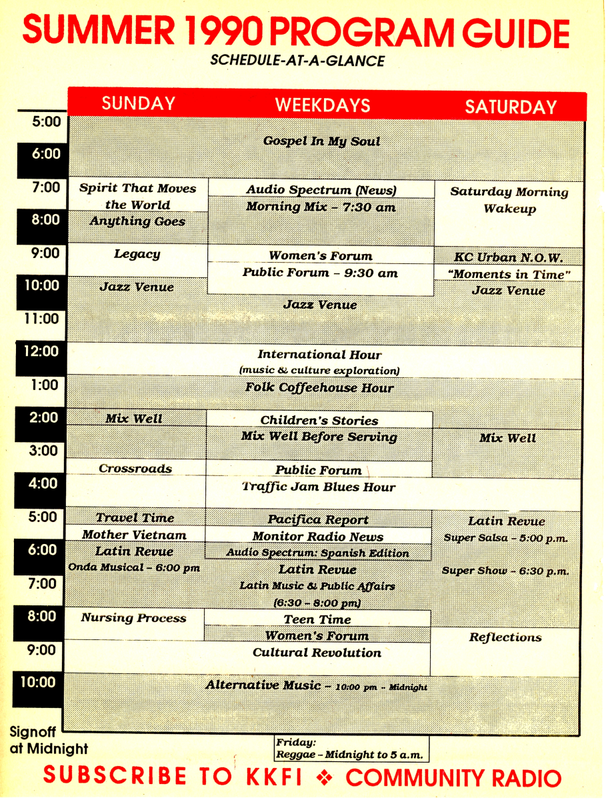 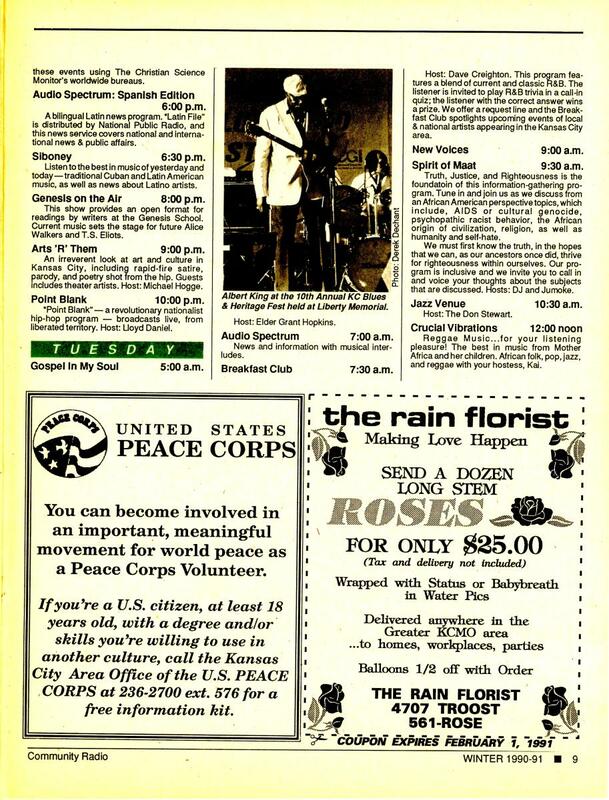 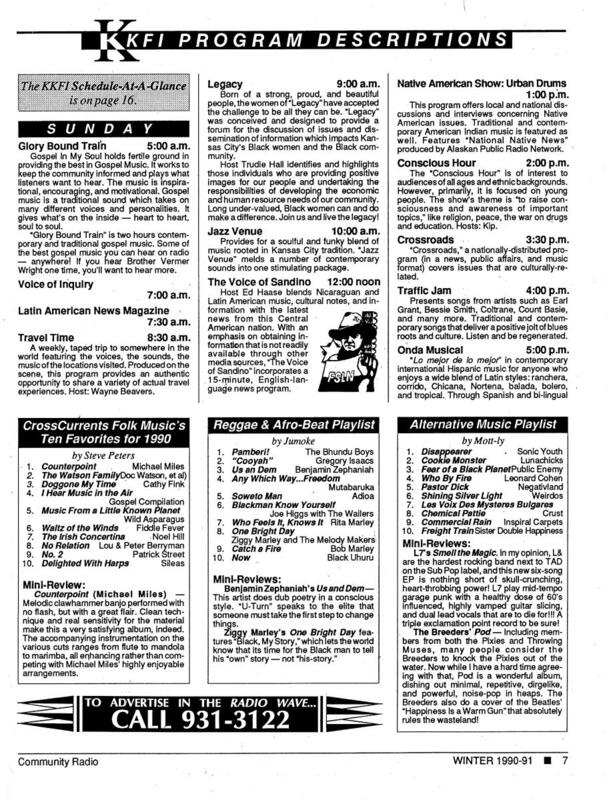 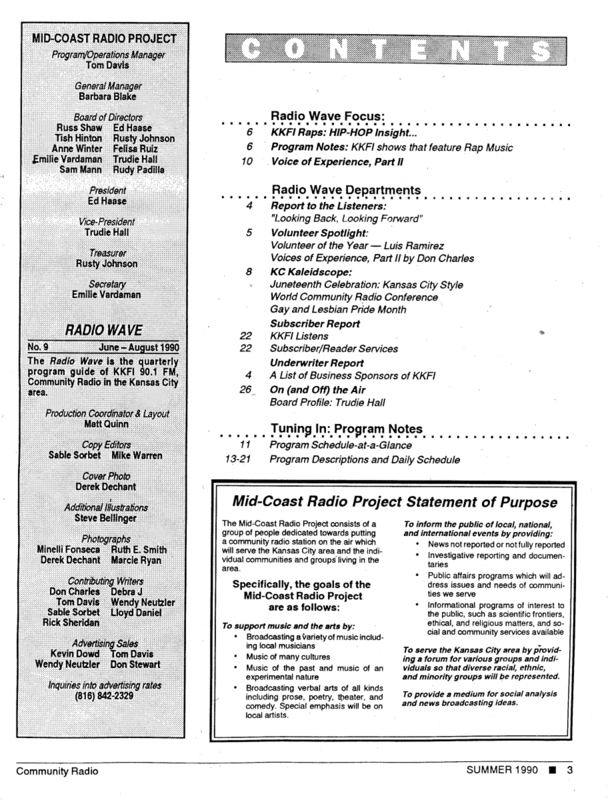 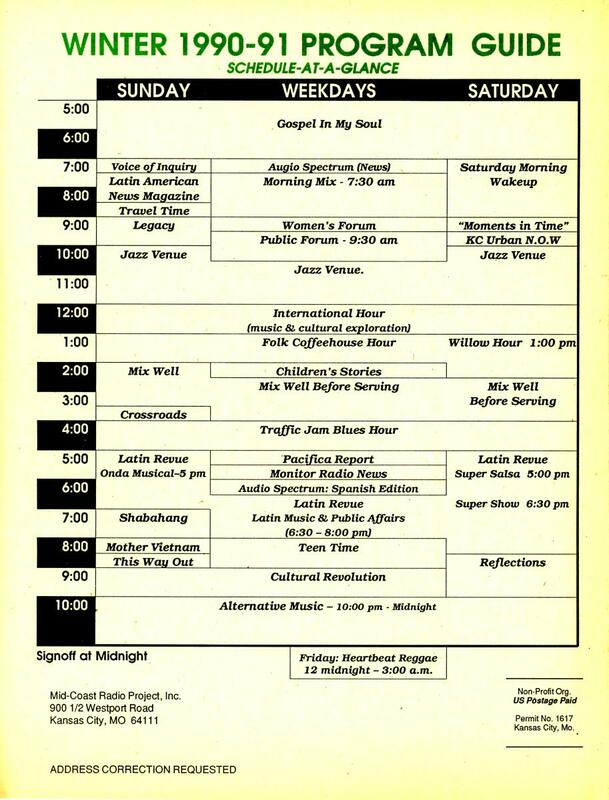 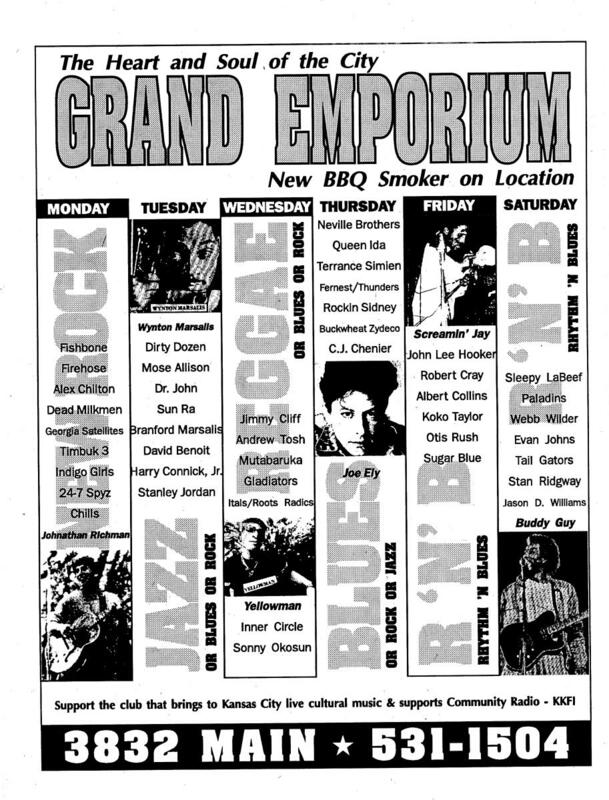 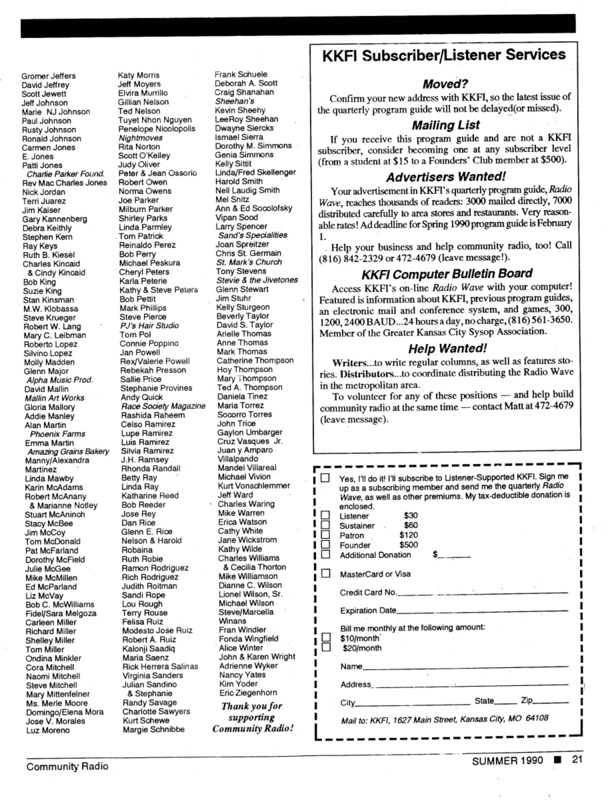 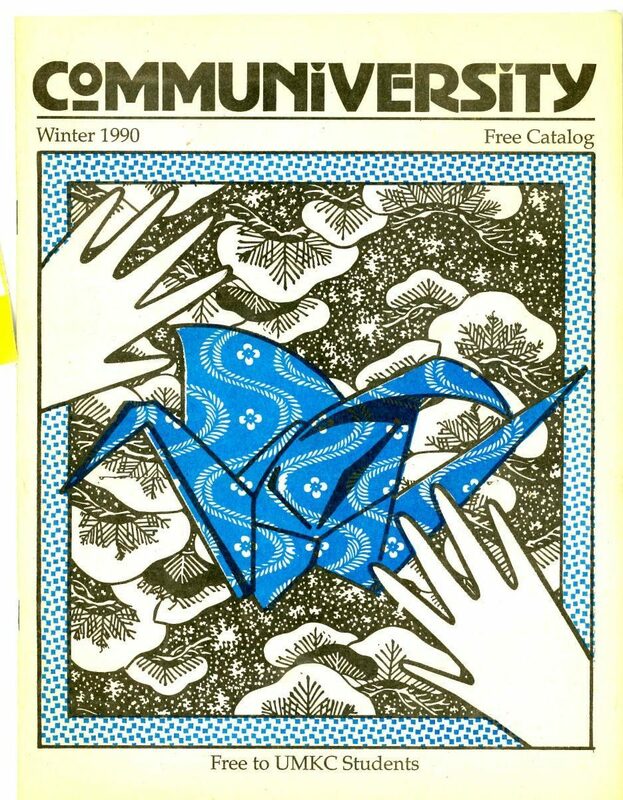 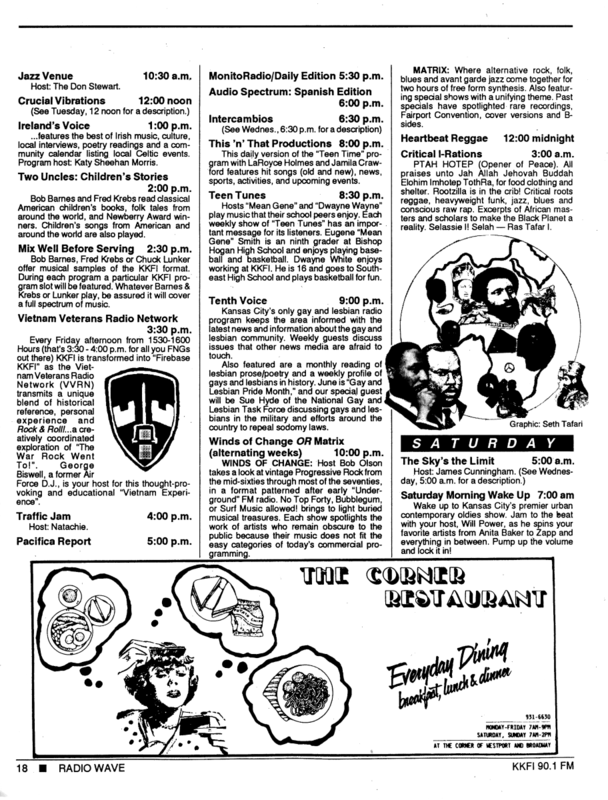 Winter 1990 Radio Wave Program Guide. 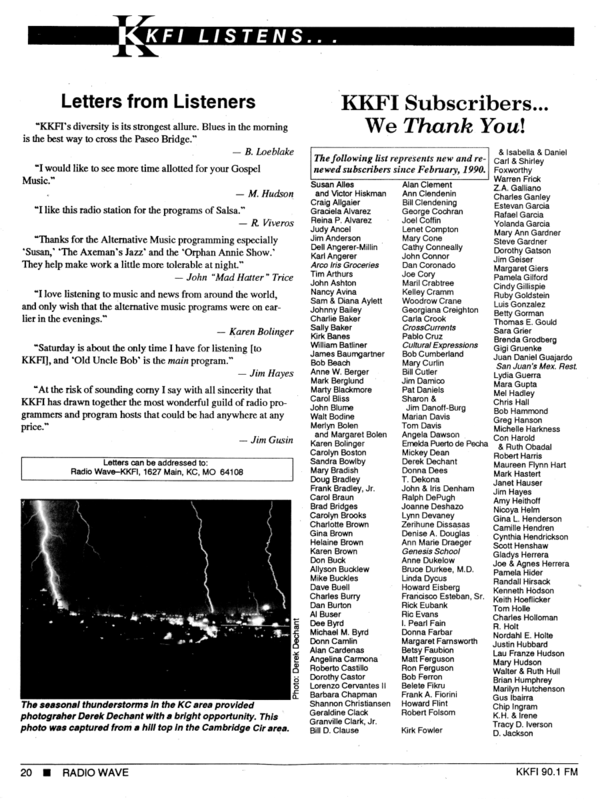 Due to a raise in rent at the Mainmark Building in the Crossroads District, KKFI faced another crisis. 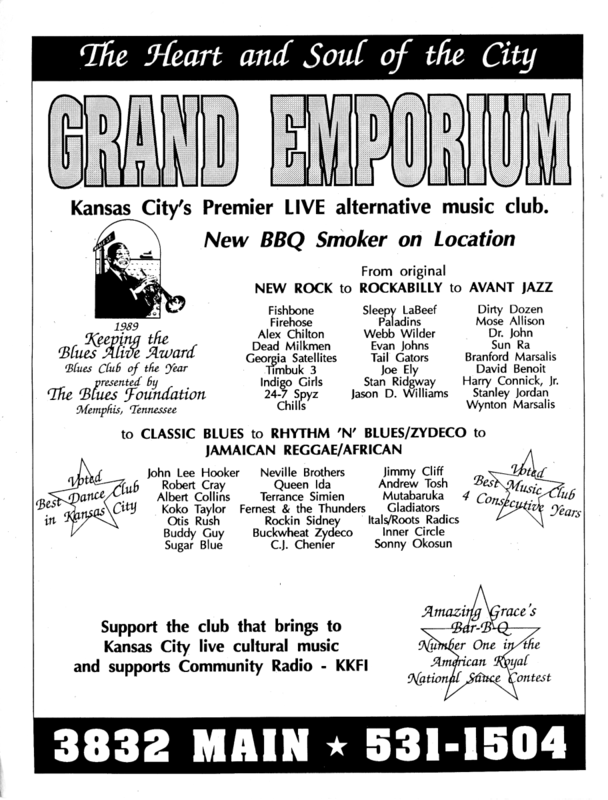 It had to move, and a new location was found in Kansas City’s Westport area by Sara Crane. 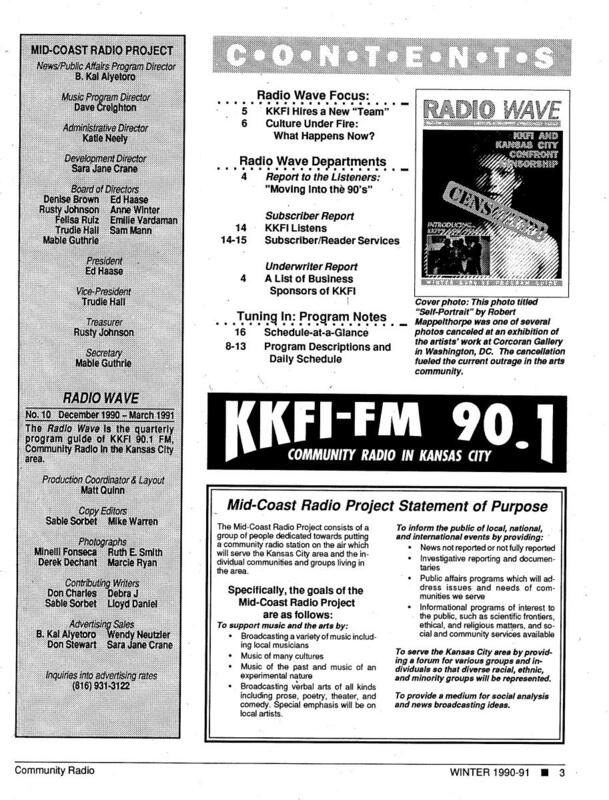 A new studio location where KKFI would exist for years was found at 900 1/2 Westport Road in Kansas City.